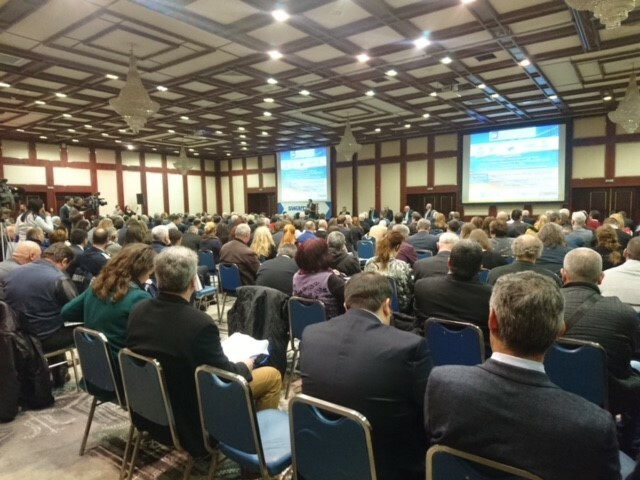 IRF members and partner organizations shared ideas, solutions and innovative approaches enabled by the exponential growth in analytical tools and technological enablers on the occasion of a landmark Road Safety & Innovation Forum held in Sofia, Bulgaria on March 27, 2018. The international knowledge-sharing event was attended by more than 350 participants. Opening the event, Dr. William Sowell, Chairman of the IRF Committee on ITS noted “We have seen other countries, take steps to prioritize road safety measures in the face of similar statistics, and who now figure among the world’s leading road safety performers. These countries embrace the Safe Systems approach, they actively seek to learn from one another’s successes and failures, and they understand the value of leveraging innovation and technology for maximum results”. European countries are at an important milestone in the achievement of their road traffic injury reduction targets. Since 2015, the gap between the best and worst-performing EU member states has continued to widen, suggesting that cost-effective measures, enabled by actionable data and technological progress, need to be investigated. Bulgaria itself stands at an important crossroads with the announced introduction of a national road tolling scheme whose proceeds will be re-invested back into the road system notably through road safety measures, according to H.E. Nikolay Nankov, Minister of Regional Development and Public Works who keynoted the event. Solutions presented during the Forum included GIS data collection tools that connect road asset surveys with safety investment decisions, road markings optimized for ADAS-enabled vehicles and recent innovations in passive safety measures designed to protect vulnerable road users. An interactive copy of the program can be consulted online here: https://internationalroadsafetyinno2018.sched.com.